Silicone is some pretty amazing stuff. Perfectly suited for kitchen use, the wonder material is heat-resistant, flexible and cleans up easily. And not much sticks to it, which makes it ideal for rolling out sticky dough. 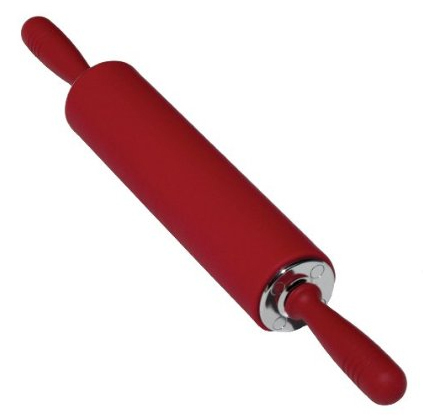 The Fiesta Red Silicone 10-Inch Rolling Pin is a modern update on a kitchen essential. Similar in style to a standard rolling pin, the old-timey kitchen gadget adds the benefits of silicone technology, with little or no sacrifice to tradition. Best of all, it’s cheap too.